Toothache due to swollen gum around those wisdom teeth is one of the worst feelings. Find its causes and use simple yet effective remedies to get relief. Pericoronitis is a condition which occurs when a part of the tooth breaks partially through the gum. Plaque and food gets caught underneath this and remains there. This causes irritation and swelling of the gum tissue and infection. If left unattended, the infection and swelling can extend to the neck and cheek regions as well. If you are suffering swollen gums around wisdom teeth, the following parts can be a great help for you to relieve your discomforts. What Causes Swollen Gum Around Wisdom Tooth? Natural reaction of the body to infection is to supply the affected part with oxygen rich blood, red blood cells and nutrients to hasten the healing. Pain and swelling occurs because the small blood vessels in the area expand to increase the blood flow to the area. This is the same reaction that happens when the gums around the wisdom tooth swell. Besides pericoronitis, gingivitis can cause swollen gums around wisdom tooth, which is caused by the presence of plaque or bacterial biofilms sticking to the tooth surfaces. The lesions can be caused due to viral, bacteria, fungal or genetic causes. The gum tissue gets stretched over the connective tissue and gets inflamed, swollen and appear shiny, which will bleed easily when flossing or brushing. When the wisdom tooth doesn’t fully grow but breaks out from the gums, the condition is called impacted tooth. When an erupted wisdom tooth is covered with a flap of skin, gum infection like pericoronitis occurs. When the tooth begins to die, tooth decay occurs. Small pockets of fluid called cysts also form near the wisdom tooth. 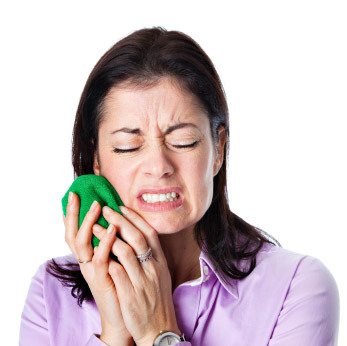 When the wisdom tooth erupts through gums, pressure pain occurs. Dissolve half teaspoon salt in a glass of lukewarm water and rinse your mouth after every meal, which helps to ward off infection and has soothing effect on pain. It can be done even during medical treatment. Clove oil has anti-inflammatory properties, which helps in relieving inflammation of gums and reduces pain. Clove oil on cotton placed near the tooth for an hour will be helpful in reducing swelling. Wrapping camphor in cotton and placing near the wisdom tooth can cause numbing effect on the painful gums. You can place this till it dissolves in the mouth. Massaging the cheek near the impacted tooth with an ice-cube rolled in a towel for 5 minutes will give a soothing effect and reduce the swelling. These gels are available OTC for topical application on the affected area. The gel will provide relief from unbearable pain only temporarily. Oral hygiene is the very essential part of home care. Brush your teeth with soft toothbrush, especially those affected part. Flossing helps in removing food particles and medicated mouthwash helps in controlling infection. Increasing the number of times I brushed, but slowly and gently near the affected tooth, then rinsing mouth with salt water. Using diluted peroxide or mouth wash containing peroxide to rinse. Keeping tea bags on the affected area will stop any bleeding and also decrease swelling. These steps will help to reduce the pain and swelling but not overnight and you will have to address the root cause of the pain and get it treated. Hope it helps you, best wishes."